Curtains make the difference between an ordinary room and a pretty one. If you do nothing else to stage a home on the market, whether it's occupied or vacant, please dress your windows. Bare, naked windows make any room look sterile and feel uninviting -- not the look and feel that makes a buyer fall in love your home. 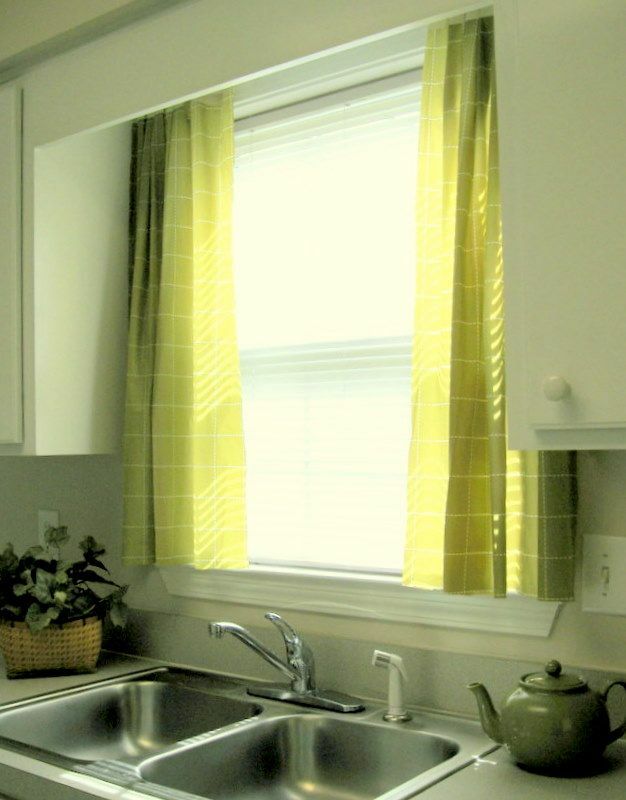 Window treatments can be pricey, even if you make them yourself. I know, because I've sewn many curtains and draperies. But if you don't want to spend much time or money, and you don't want to even sew -- there's still a way you can dress windows. Actually, there are 15 ways. 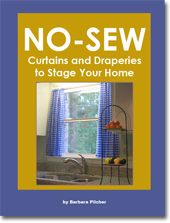 And you can learn each of them in my eBook, No-Sew Curtains and Draperies to Stage Your Home. 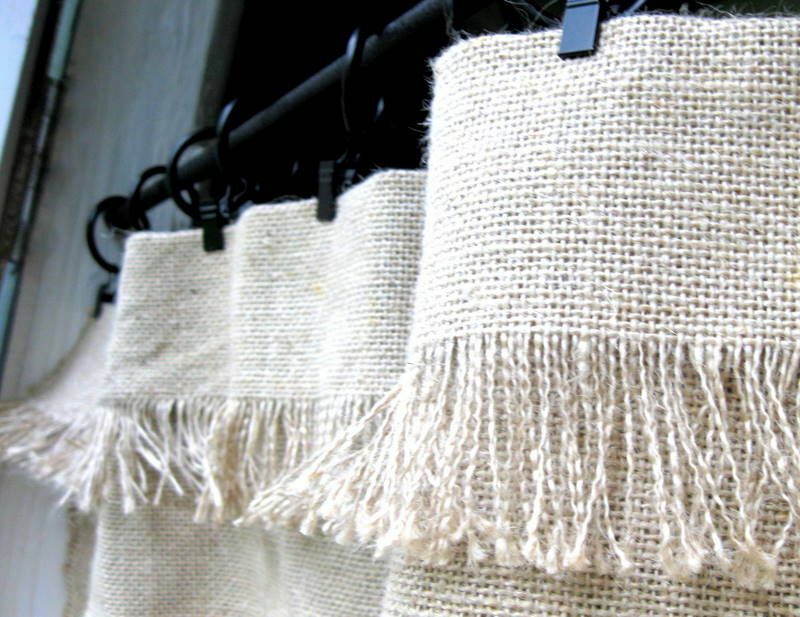 Did you know that burlap, felt, and fleece make handsome draperies that hang beautifully and and require no sewing? 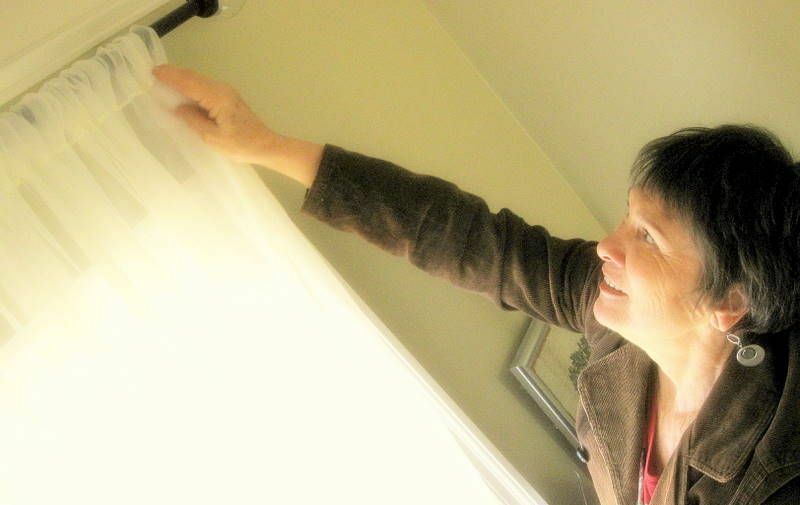 The trickiest part of most window treatments is how to hem, seam or trim the edges. Or that ordinary white glue is perfect for hemming curtains for staging, curtains that won't be laundered? Or that duct tape can be used for hemming curtains? Or that $1 shower curtain rings are a handy stand-in for expensive drapery rings? There are at least seven no-sew techniques to hem draperies, and I demonstrate them all. The style of drapery that staging requires is different from ordinary window treatments. I also list the secrets to success and some possible variations at the finish to each tutorial to help you use the tutorials to their fullest. 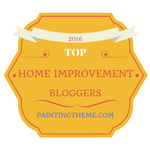 These are some of the valuable methods, tips and tricks you'll learn in the step-by-step tutorials. 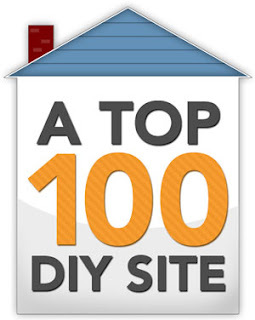 You can download the ebook now, and start turning your windows into selling points. Your cost is just $4.99 and it comes with my money back guarantee. Buy now for just $4.99. DIY a Garden Planter That Looks Like Stone!